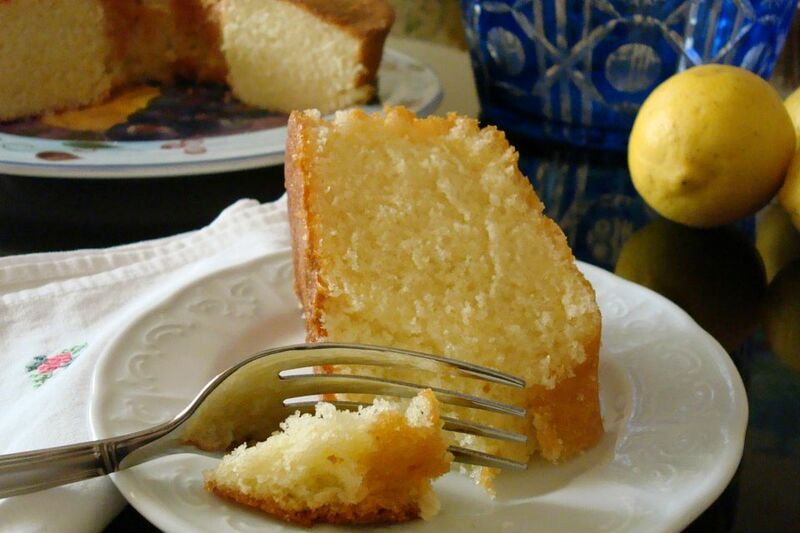 Moroccan cakes (meskouta) tend to be quick and easy to make, and this Moroccan lemon cake is no exception. Light, fine-textured and flavorful, it takes only minutes to mix and get into the oven. It can be served while still warm and no frosting is needed, but an optional glaze recipe is given below. One-half of a large lemon should yield the small amount of fresh lemon juice called for in the recipe, but you can add more lemon juice if you like tarter flavor. Try these equally easy and delicious recipes for Moroccan Orange Cake and Moroccan Chocolate Cake. Place the rack in the middle of the oven and heat to 350 F (180 C). Grease and flour a small bundt or tube pan. In a large bowl with an electric mixer or by hand, beat together the eggs and sugar until thick. Gradually beat in the oil until smooth. Stir in the flour, baking powder and salt, and then the milk. Beat just until smooth, and then mix in the lemon juice, zest, and vanilla. Pour the batter into the prepared pan. Bake for about 40 minutes, or until the cake tests done. The cake may be served plain, dusted with powdered sugar or drizzled with a glaze. In a small bowl, mix together confectioners' sugar with lemon juice until smooth. Drizzle over the top of the cake, allowing the glaze to run down the sides.